A Huge Virtual Reality Theme park is opening soon in China! A Huge Virtual Reality based Theme park is opening soon in China! Leave it to the Chinese to build the world's largest non-functioning Transformer. Stop what you’re doing right now, Clear your calendars, save up some vacation days, and book a flight to China because a massive virtual reality theme park is opening just in time for the New Year’s Eve in Guiyang, China. Named the East Valley of Science and Fantasy, the theme park was designed to be a science fiction/fantasy world. The theme park’s website claims that it will include Virtual Reality based movie theaters, restaurants, children’s area, and recreation halls. 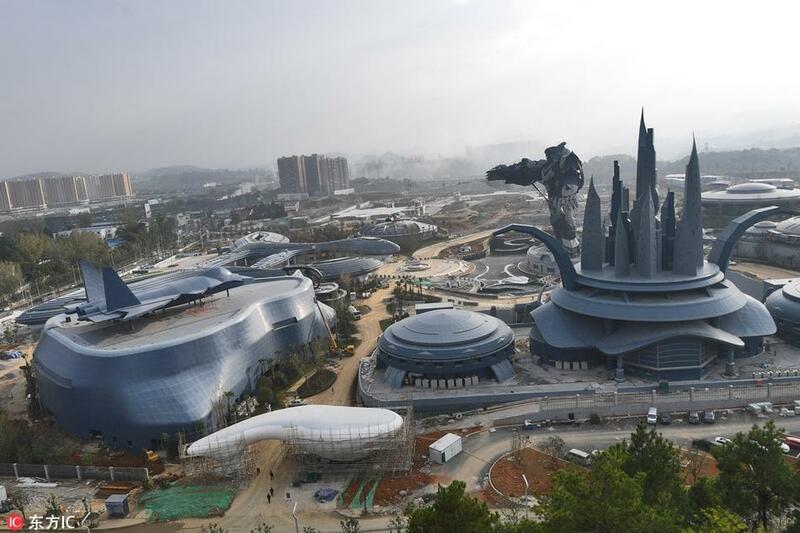 Pictures of the theme park popped up on the internet a couple of weeks ago, showing this 53-meter tall transformer mecha statue and various other buildings that look a lot like alien motherships. Thus far, the park is pretty damn impressive to look at through normal eyes, let alone a VR headset or a filter. Here’s the kicker: It reportedly cost $1.5 billion to build! According to The Shanghaiist News Outlet, the Virtual Reality theme park will have a soft open next month. Once the virtual reality theme park opens to the public, visitors will get a VR headset on entering the park, using which they’ll be able to wander in outer space, interact with alien species, and ride a VR based roller coaster. It’s still a waiting game to see how many of these attractions will be ready in time for the opening. That being said, I would be so stoked to try any one of the attractions at the Virtual Reality theme park — mainly the VR roller coaster. You can book your ticket online right now, but unless your Chinese is better than mine, I suggest you stick to Google Translate or wait till you go to China.